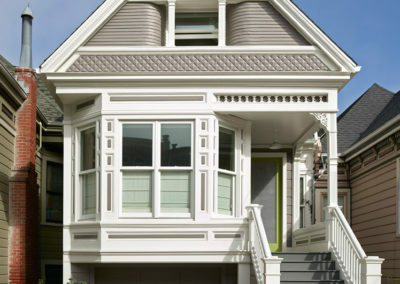 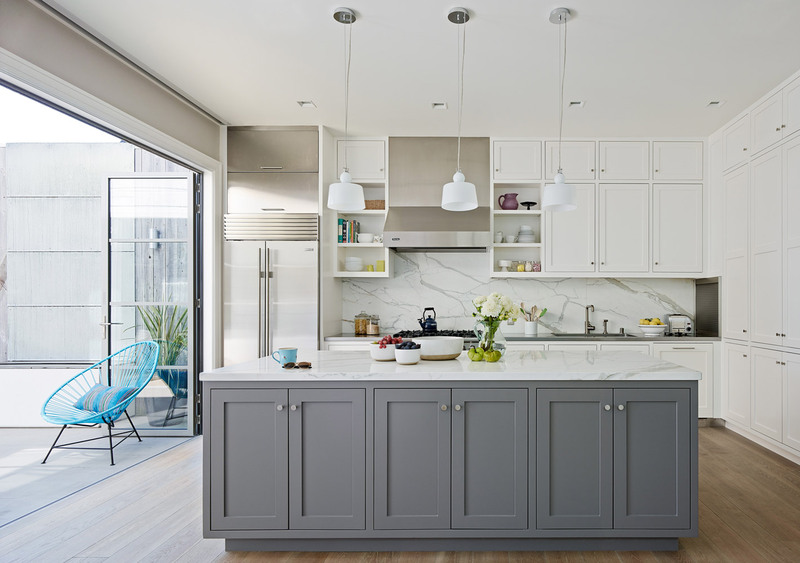 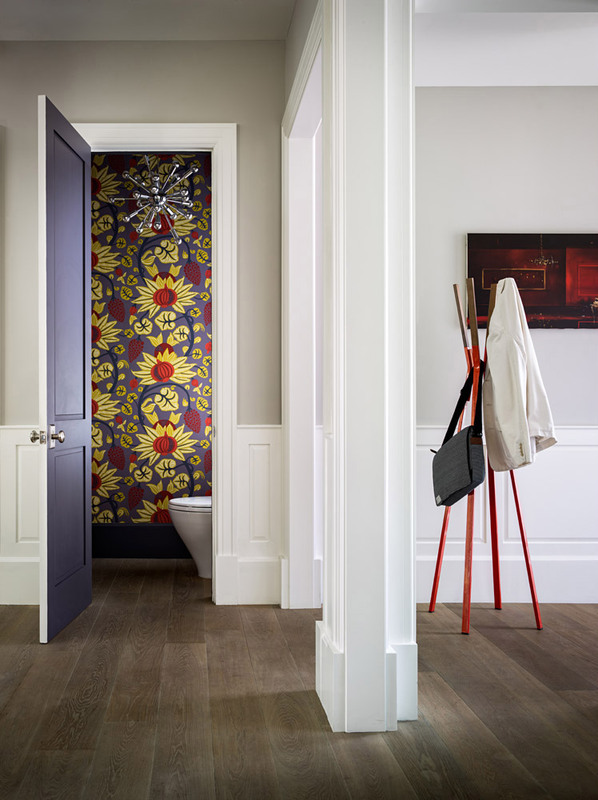 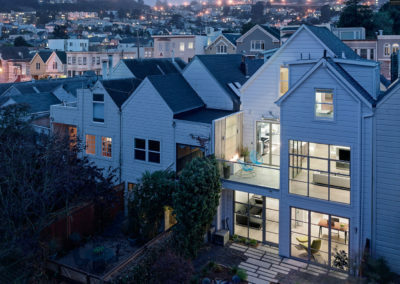 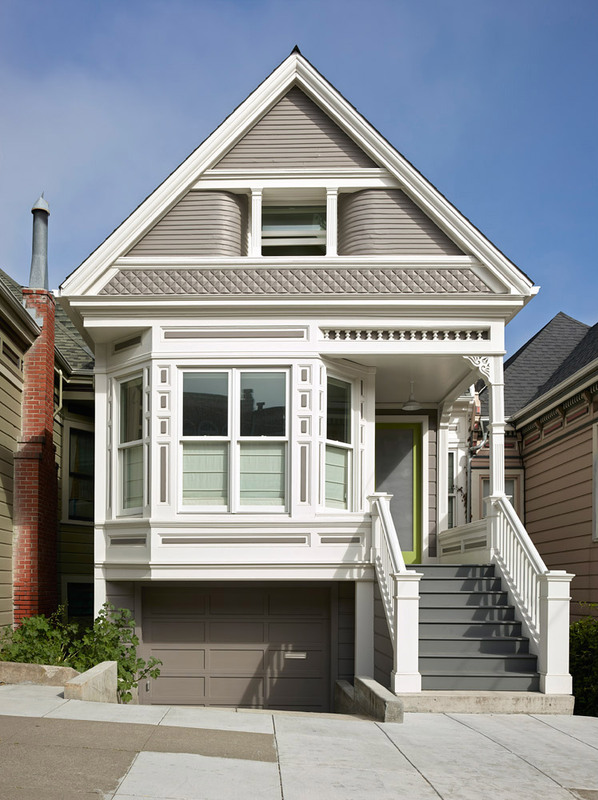 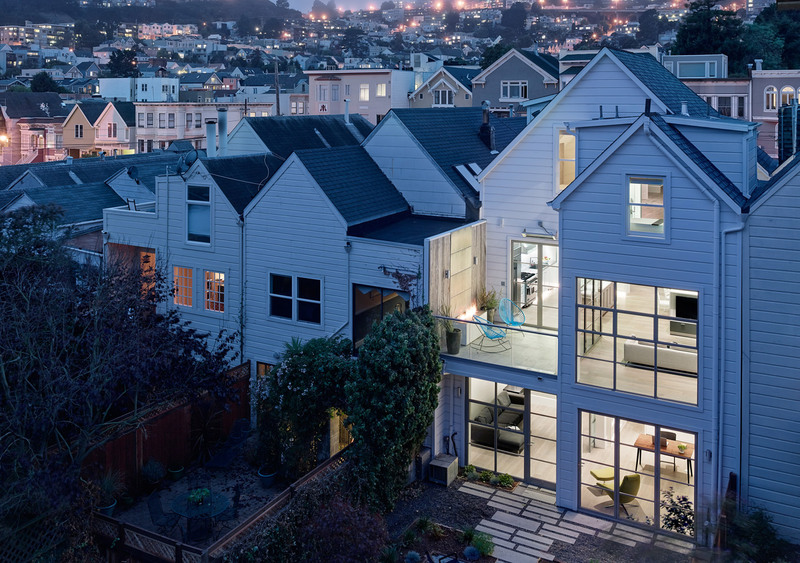 This complete remodel of a classic San Francisco Victorian set out to respect the grace and character of the original house while infusing a modern sensibility of space, light, and materials. 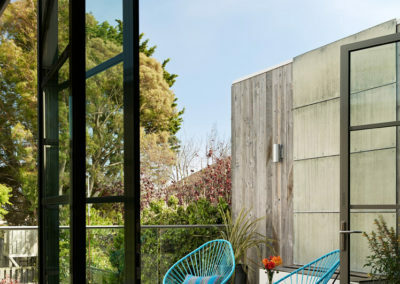 The façade of the house was kept largely intact; only a bright green door with a translucent polycarbonate panel hints that the building is anything other than original. 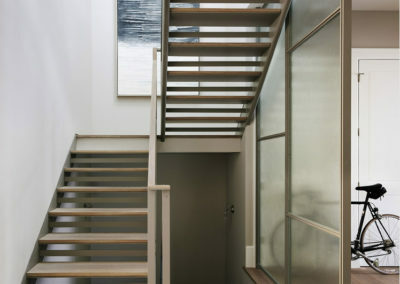 Once inside, though, visitors are greeted by a steel and glass screen that supports a central stairway. 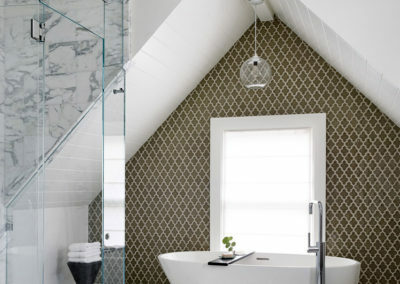 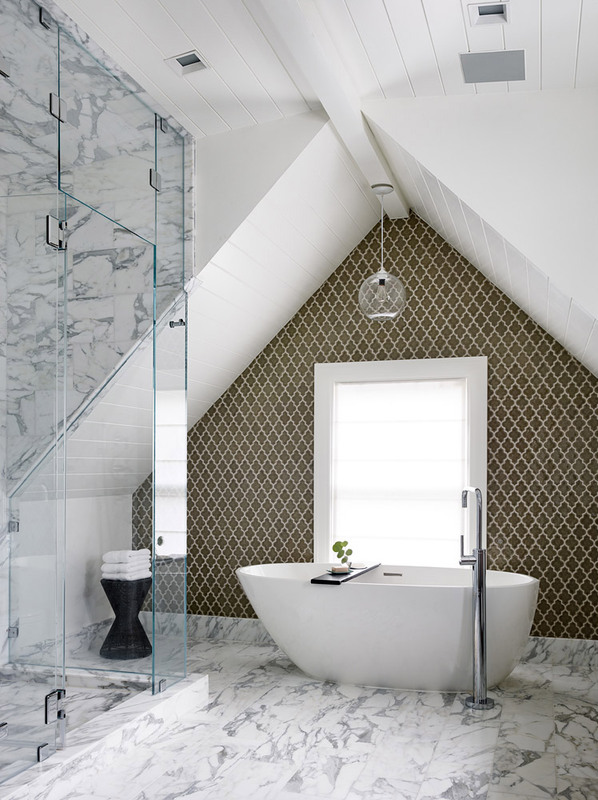 Large skylights above the open-riser stair bring light into the core of the building. 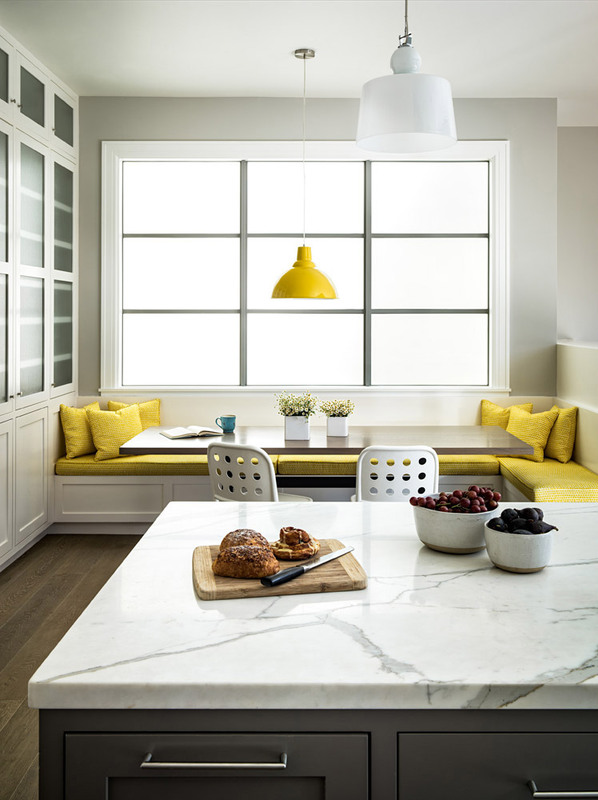 At the rear of the main level, walls were removed to open the kitchen, breakfast nook and family room to each other. 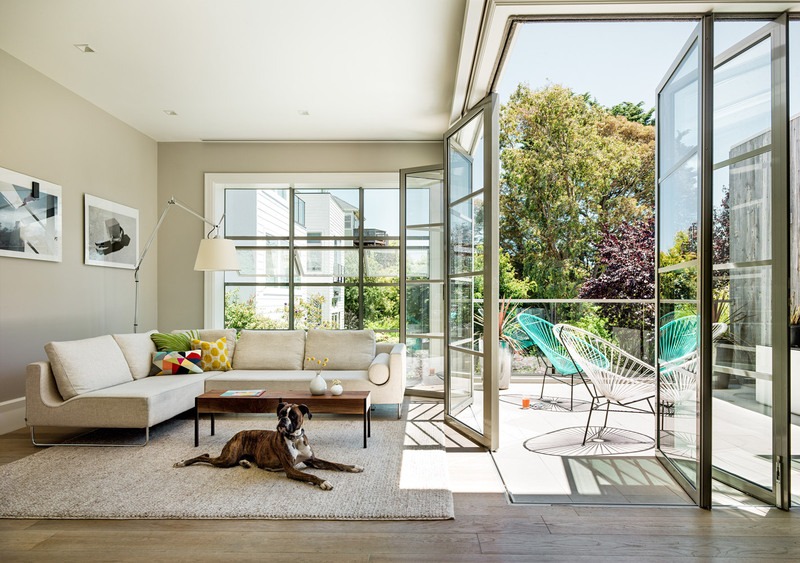 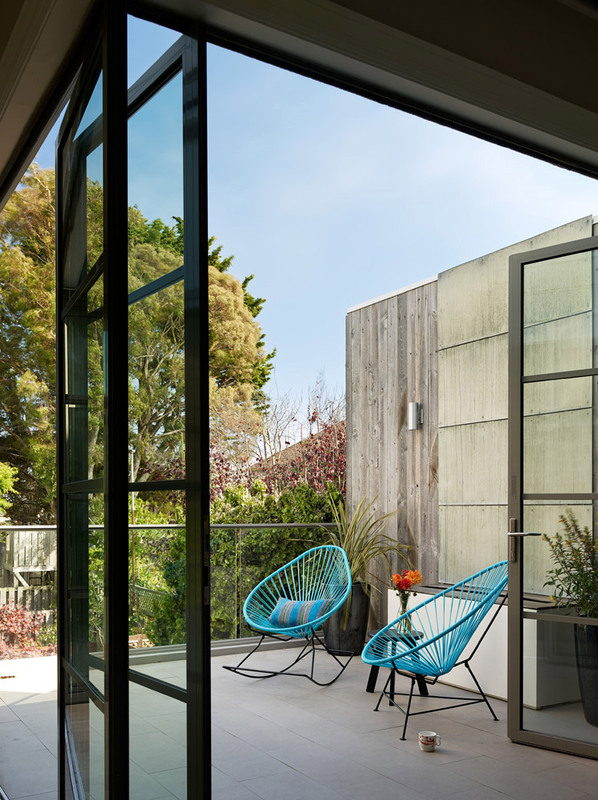 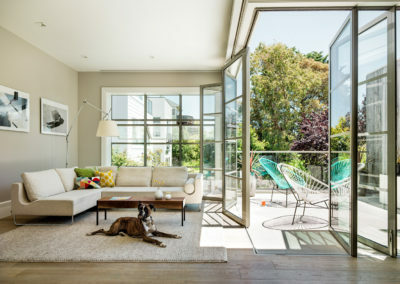 All, in turn, are oriented around a deck, the metal doors to which completely retract so that the deck, family room, kitchen and eating nook can function as one large room on nice days and evenings. 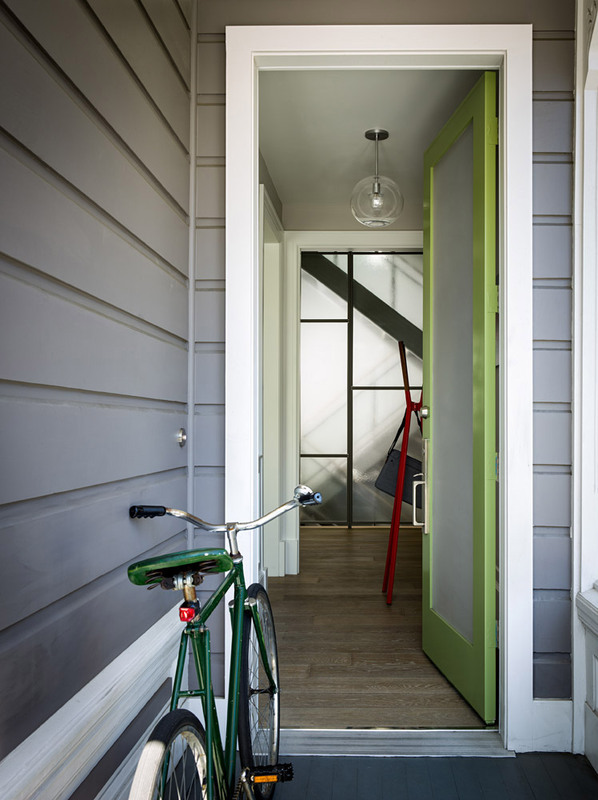 The top floor has three bedrooms, including a spacious master bedroom suite with vaulted wood-paneled ceilings. 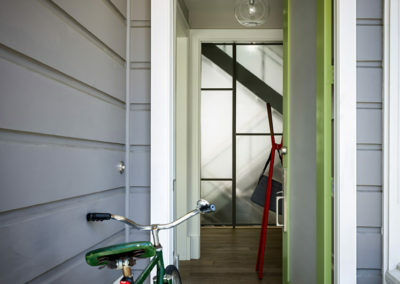 The lower level includes an office and a media room, which are divided by a large barn door and both of which open directly to the backyard. 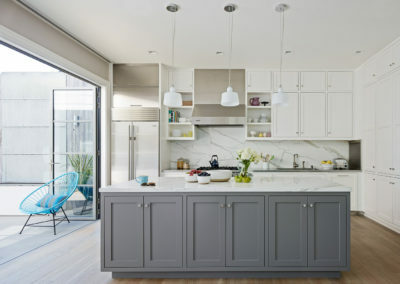 Shelves lining the office hold the client’s extensive book collection. 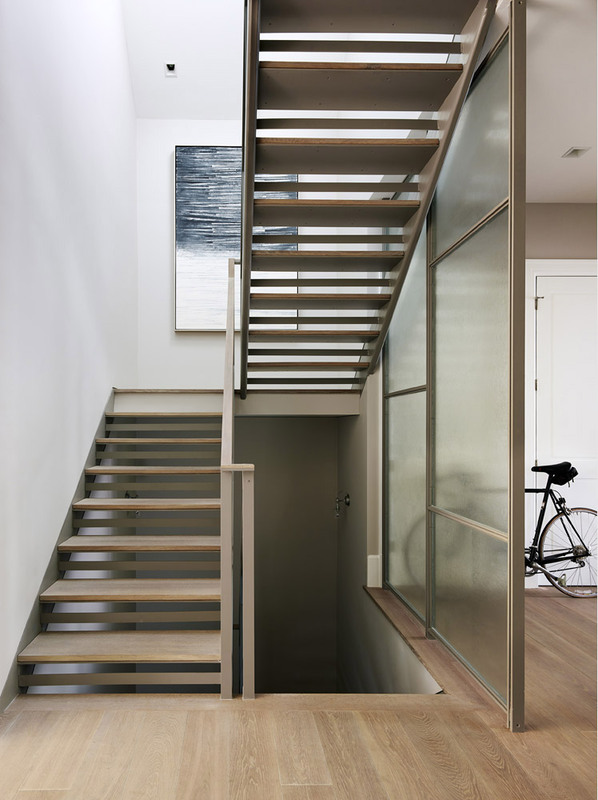 Throughout the house a palette of grays, white, steel and glass, with occasional pops of color, unifies the spaces.